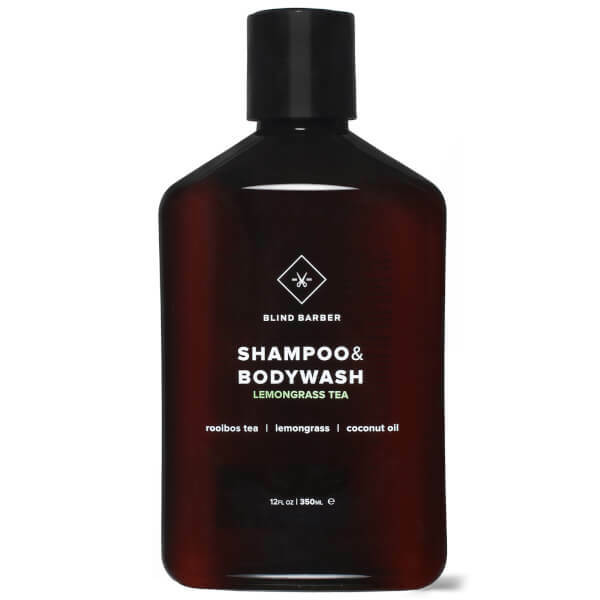 Experience versatile grooming with Blind Barber Lemongrass Tea Shampoo and Bodywash, a multi-purpose formula specially designed to lift away dirt and impurities from skin and hair. Suitable for daily use, the shampoo and bodywash combines Roibus Green Tea, Wild Lemongrass, Aloe Vera extract with a 'Custom Spirit' blend to help lift away debris and build-up without disturbing hair and skin's natural state. Skin feels soft and clean; hair is smooth, manageable and detangled. 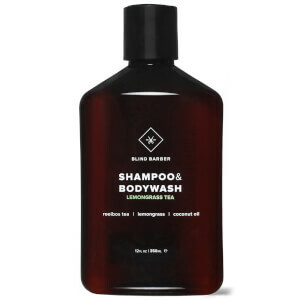 Massage Shampoo into wet hair and scalp (or washcloth for bodywash). After working up lather, rinse thoroughly and repeat as necessary. Follow with Blind Barber Lemongrass Conditioner.